Lists below are some successful stories from our clients. Description: The mobile data and vehicle location products and solutions used by the emergency services, public transport and utilities sectors in the UK and Europe. This product uses Embedian SMARC-FiMX6-D-1G as a core and Linux as the operating system. Description: The company have sold more than 300,000 units over the years to some of the world's largest and most challenging crane and machinery manufacturers. Products that are made for heavy usage and to withstand the toughest conditions. This product uses Embedian SMARC-T3354-800-I as a core and Linux as the operating system. Description: The device is designed to increase your infrastructure security and reduce your equipments' unplanned downtime. This product uses Embedian SMARC-T3354-600 as a core and Linux as the operating system. Description: This Precision Pressure Indicator features pressure ranges from 10 inH2O FS to 10,000 psi FS with an uncertainty of 0.01% of full scale for ranges greater than or equal to 5 psi (optional uncertainty 0.01% Intelliscale-50). It can be configured with a single pressure sensor or in a dual channel configuration with two pressure sensors, each with individual test ports for measuring two pressures simultaneously. Additionally, an optional barometric reference sensor is available allowing fast and easy switching between gauge and absolute mode pressure measurements. This product uses Embedian SMC-SMART-MEN as a core and Linux as the operating system. Description: Founded in 1937, the company the largest and best-known American maker of church organs.the largest and best-known American maker of church organs. This product uses Embedian SMARC-T3354-600 and SMARC-FiMX6-S as a core and Linux as the operating system. Description: The device unifies the user experience of various smart devices by bringing them under one, super-easy mobile and tablet user interface. The device connects smart devices from different manufacturers into one seamlessly working entity. Everything is controlled from the intuitive cell phone application. Description: This weighing system is used for household waste and/or paper. This system can be integrated in every type of loader, front, side and rear-end. This product uses Embedian SMARC-T3354-01G as a core and Linux as the operating system. Description: The world's first affordable tennis tracking solution for amateur tennis players and tennis centers. The solution provides automated refereeing during a tennis match and extensive game analysis features after the match. The product enables tennis players to analyze and visualize data from the matches and training sessions, and share important results with their friends in an online community. This product uses Embedian SMARC-FiMX6-Q-1G as a core and Linux as the operating system. Description: The device is for high speed, high-quality printing of lumber, building materials, plastics, metals, and packaging. Description: This device automatically monitors temperature and humidity readings, reducing labor costs, eliminating errors and ensuring complete records are maintained in accordance with regulatory requirements. Ideal for multiple temperature and humidity measurement points across any size of site in Food Industry, Healthcare, Laboratories, Building Management, Pharmaceutical Industry, Warehousing, Cold Storage, Environmental Monitoring, Transport or Wine Cellars. This product uses Embedian MXM-6410 as a core and Linux as the operating system. 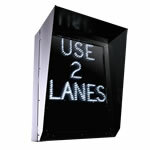 Description: This digital displays utilise mobile wireless technology. This means there is no reliance on IT networks so that installations a quick and easy, with no or little in-store disruption. This digital advertising screens only require a power socket! Furthermore, through expertise in wireless remote monitoring and communication this delivers a highly scalable solution that provides the greatest levels of advertising compliance in the market. This product uses Embedian APC-7116 as a core and Linux as the operating system. Description: A unique design for this device, the new cash register connected with electronic journal for the traditional distribution, and integration in the public financial solutions for small and medium-scale distribution. The new features compared to the traditional cash register are dual 5.6-inch display, digital sign and internet connection. This product uses Embedian MXM-7114 as a core and Linux and the operating system. Description: The device reliably transmits alarm states from security systems or fault messages from technical installations via TCP/IP to public alarm receiving centres. The encrypted data connections via the alternative communication paths (ETHERNET and GPRS) are regularly monitored using 'live checks'. As a result interruptions and even sabotage are detected early on. This product uses Embedian MXM-7110 as a core and Linux and the operating system. Description: The reader is a compact UHF RFID reader developed for use in industrial environments. With two microcontrollers, this RFID readers holds the configuration for which it was programmed. It can control the automatic opening of doors and / or the supply of LEDs and their activation conditions. This product uses Embedian MXM-7110 as a core module and Linux as the operating system. 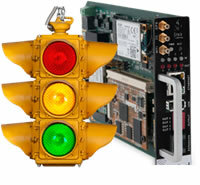 Description: Advanced traffic violation detection and processing systems for red-light and speed management. The device fixed site camera system, manufactured and supplied by International Mobility Systems, is a versatile traffic data and infringement processing system. This advanced processing platform offers world-class technology with a range of enhanced features. This product uses Embedian MXM-8310 and MXM-8310-I as a core module and Linux as the opearting system. Description: Ultrasonic testing equipment uses high-frequency sound vibrations are transmitted into material by an ultrasonic transducer. The test instrument then analyzes the ultrasonic signals which are received using either a pulse-echo or through-transmission method. In the pulse-echo mode, the transmitting transducer also serves as the ultrasonic receiver and analyzes the reflected signal with respect to amplitude and time. This product uses Embedian MXM-6410 as a core and Linux as the operating systems. Description: This device is a third generation mobile data terminal from our client, embodies modular approach to system design - featuring a main display unit, a distributed control unit, an advanced ARM processor, multiple I/O interfaces, and an audio codec in a single device. The mobile data terminal features an ambient light sensor that automatically adjusts display brightness based on the environment to reduce driver’s eyestrain from glare and reflection. This product uses Embedian MXM-V210 as the core and Windows CE as the operating system. Description: Through its digital and analog output options, this device can be used with a nurseâ€™s central station unit and data can be collected remotely. As the smallest 8-channel color monitor in the world, the device provides a complete set of vital sign monitoring. This product uses Embedian APC-7112 and APC-7116 as a core and Linux as the operating system. Description: A unique design for this device, the new cash register connected with electronic journal for the traditional distribution, and integration in the public financial solutions for small and medium-scale distribution. The new features compared to the traditional cash register are digital sign and internet connection. This product uses Embedian MXM-7110 as a core and Linux as the operating system.